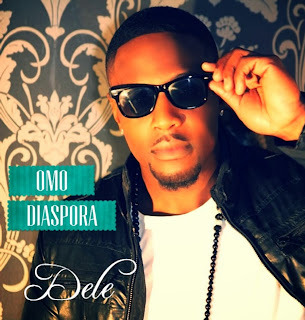 UK RnB singer DELE is back after a brief hiatus with an ode to his Motherland entitled “OMO DIASPORA”. “OMO DIASPORA” (Child Of Disapora) displays DELE’S Nigerian heritage in a track about Africans still having love for the Motherland even though they may not have been born or no longer reside there. The remixed track, taken from his EP “PORTRAITS OF ME”, sees the fitness fanatic sing in both Yoruba and English over a slightly RnB-tinged Afrobeat, produced by SKOB ORIGINAL. The video, which has a heavy usage of green and white hues to connote the Nigerian flag, was shot by acclaimed director and long-time collaborator, LUKE BIGGINS. The visual also includes a cameo appearance by the strongest football player in the world, ‘BEAST MODE’ creator and DELE’S brother, ADEBAYO AKINFENWA. The digital release of “OMO DIASPORA” will include the track’s original mix, produced by JIFF THE GENERAL, as well as the soulful B-side track “KARMA”, featuring fellow UK RnB singer, DARREN B. “OMO DIASPORA” and B-side track “KARMA” are out on iTunes February 28th 2014 via BTTA Music.